It's the arcade classic, complete with fantastic playfield. Our online pinball has all the bells, whistles, fun and excitement associated with traditional arcade pinball machines and one special surprise. This version also incorporates a secret! You start the game with 5 balls. To launch the ball, push and hold the down arrow key, then release to shoot! The longer the down arrow key is held, the more powerful the shot. Use the left and right arrow keys to control the flippers. Holding down the arrow keys will lock the flipper in the up positon, so you can 'catch' the ball. There are bumpers, kickers, rails, targets, and traps arranged around the table. Hitting these will get you bonuses, multipliers and even free balls. Plus, there's a secret minigame to unlock...we won't say how! Good Luck! If you want to play Dragon Crystal Pinball games online you have come to the right place! 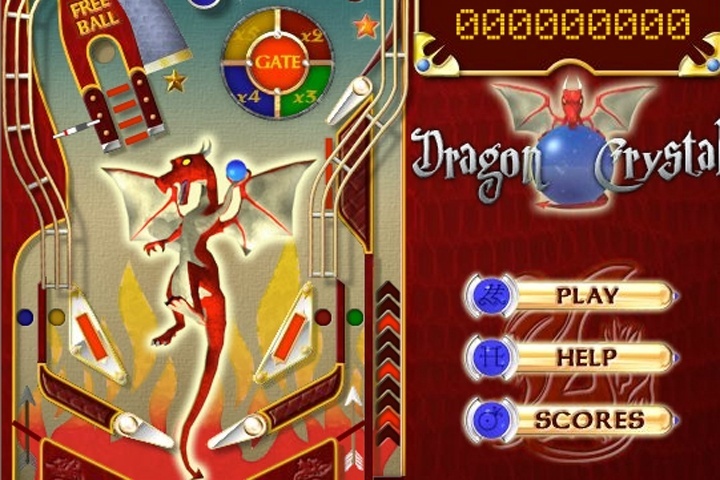 GamesLoon adds new Dragon Crystal Pinball games every week. This is your game portal where you can find the biggest collection of free Dragon Crystal Pinball games online. Do not forget to rate our Dragon Crystal Pinball free online games while playing!